It's time for an epic spotlight, on two stellar books that are finally out in paperback! Are you the type who waits for paperbacks, so you can hoard all the more books? I'm right there with you, friends. 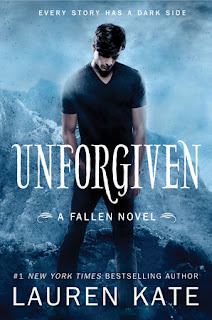 Which means you'll be as happy as I was to know that These Shallow Graves by Jennifer Donnelly and Unforgiven (A Fallen Novel) by Lauren Kate are out in paperback now! Scope these synopses, and then make sure to add each one to your reading list if you haven't already! Or (in this case) authors! 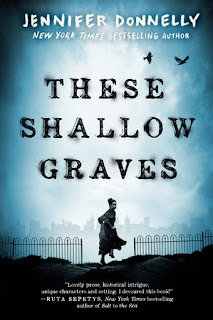 From Jennifer Donnelly, the critically acclaimed New York Times bestselling author of A Northern Light and Revolution, comes THESE SHALLOW GRAVES, a thriller mystery about dark secrets, dirty truths, and the lengths to which people will go for love and revenge. From women’s rights to socioeconomic disparity, THESE SHALLOW GRAVES explores topics relevant to adults and teens of today. The paperback of THESE SHALLOW GRAVES goes on sale October 25, 2016. Jennifer Donnelly is the author of three adult novels—The Tea Rose, The Winter Rose, and The Wild Rose—as well as the young adult novels Revolution and A Northern Light, winner of Britain’s prestigious Carnegie Medal, the Los Angeles Times Book Prize for Young Adult Literature, and a Michael L. Printz Honor Book Award. Fans clamored for the story of brooding bad boy Cam, and now the diabolical, desirable foe takes center stage in UNFORGIVEN. Cam made a bet with Lucifer: he has fifteen days to convince the only girl who really matters to him to love him again. If he succeeds, Lilith will be allowed back into the world, and they can live their lives together. But if he fails . . . Hell is waiting. 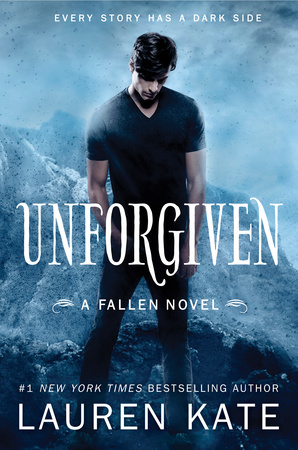 The paperback of UNFORGIVEN goes on sale November 8, 2016. Lauren Kate’s series of star-crossed lovers has sold over 3.2 million copies in North America alone and has capturing the hearts and imaginations of readers all over the world, with rights sold in 33 countries. The major motion picture Fallen is currently in development, starring Jeremy Irvine and Addison Timlin.